Tim Pori is a passionate litigator who thrives on fighting the state and federal government for his clients’ constitutional rights. Tim loves to defend his clients and zealously fights for their rights to be treated fairly by the government when they are accused of a crime. Tim went to U.C. Berkeley where he received a B.A in English and graduated from the New College of California School of Law. Tim has never been disciplined by the State Bar. Tim has tried over 50 trials to verdict and has gained acquittals in state and federal court. Although each case is different and Tim cannot predict or guarantee the outcome of your case, here are some examples of his verdicts in successful trials where the government would not offer a favorable plea offer during the plea bargaining stage of the case. Tim obtained a not guilty verdict in a mail fraud trial in the United States District Court of the Eastern District of California on August 22, 2014. In 2003, Tim had a federal court indictment dismissed after he filed a motion to suppress five illegally seized assault weapons. Tim also obtained a not guilty verdict in a Possession for Sales of Marijuana and Cultivation of Marijuana trial in Contra Costa County, California on November 22, 2013. Tim also hung a jury in another Contra Costa case with a client who had an expired medical marijuana recommendation, 20 pounds of dried marijuana buds, 73 marijuana plants, $60,000 which was returned by the court after a successful asset forfeiture hearing, a bullet-proof vest, ammunition, and high-capacity magazines for an assault rifle. Due to an extremely unusual conversion of circumstances, Tim tried three murder cases in one year, one of which was a double homicide in 2012 in Alameda County, and he obtained not guilty verdicts in the other two cases in Vallejo, and Fairfield, California. Tim was so dedicated to his client that he was prepared to go to jail rather than be forced to trial unprepared in the double homicide. Tim was found in contempt of court in Alameda County for refusing to go to trial unprepared in April and was ordered to spend five days in jail and pay $2,500 in penalties. The judge’s order was reversed by the First District Court of Appeal in California. Tim hung the jury after his first solo murder trial in Vallejo, CA in 2002, and after the second trial, the client was acquitted. Tim has also convinced another jury that another client was not guilty of murder and the jury acquitted him of murder and convicted him manslaughter. In Vallejo, CA, in late 2008, Tim obtained a mistrial in a murder case which resulted in a substantially reduced plea bargain. Tim was able to negotiate an eight year sentence in an all girl thrill kill homicide in San Francisco. The vase majority of Tim’s cases are settled before trial and Tim’s strategy is to investigate the facts, locate possible cameras, and locate and interview defense witnesses in order to present defense investigation reports to the prosecution to get the best deal. Tim’s slogan is “hard work and investigation not friendship with the prosecution.” This means retention of experts and investigators is crucial to Tim’s success. 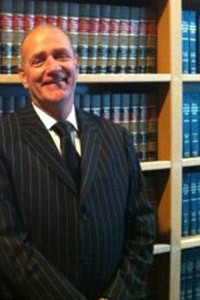 Tim has specialized in Criminal law for over 17 years. Tim is a dedicated criminal law specialist as recognized by the California Bar Board of Legal Specialization. Tim loves trial and is admitted to all courts in the State of California, the United States District Court for the Northern and Eastern Districts of California and is admitted to practice before the United States Court of Appeals for the Ninth Circuit.